Also known as the "Hostess City", the beautiful city of Savannah in Georgia has more to offerthan just its amazing natural resources. Savannah offers a historic downtown district as well as rich culture and art heritage. It is known for its interesting nightlife and laid back lifestyle. The city of Savannah is enveloped with wonderful, majestic trees. 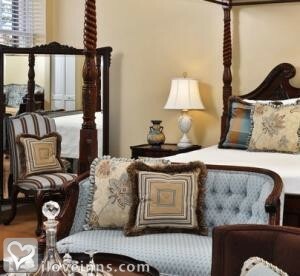 A stay in a glamourous Savannah bed and breakfast is a must for every visitor. And if you happento be a history buff, you will feel at home in the Savannah History Museum and the Georgia Historical Society. If you fancy good music, Savannah also holds the annual Savannah Music Festival where bands from all over Georgia come and share their music. But if you wish to enjoysome quiet time alone, you can take the afternoon off and retreat to enjoy Savannah's famous squares. By The Olde Savannah Inn. In Savannah, Georgia, the world meets up as a sociable, friendly community in the beautiful Landmark Historic District. In this world-famous southern USA city, all around great experiences come out of the diverse people, world heritages, cultures, lore, foods, business, architecture, history, and the arts. By Presidents' Quarters Inn.